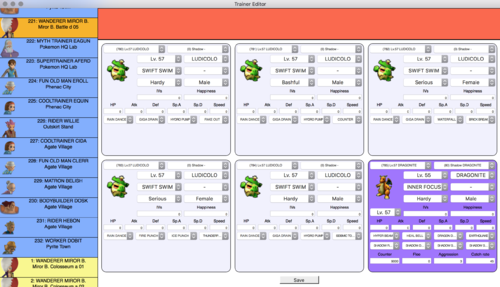 A tool for hacking Pokémon XD: Gale of Darkness. It isn't complete but it is still being actively worked on and will be updated with new features over time. Mac OSX only and designed for US versions of XD. Now comes with Colosseum Tool for hacking Pokemon Colosseum! 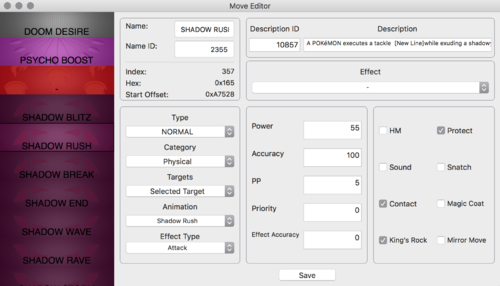 Colosseum Tool doesn't have all the capabilities of GoD Tool but can still edit a lot of the main data such as trainers, moves and pokemon stats and also has a randomiser. Colosseum Tool has now been updated with the ability to add the physical/special split! One of the best things on the internet to me. Pokémon Colosseum and XD are my favorite games ever, and being able to hack them is something truly special to me. 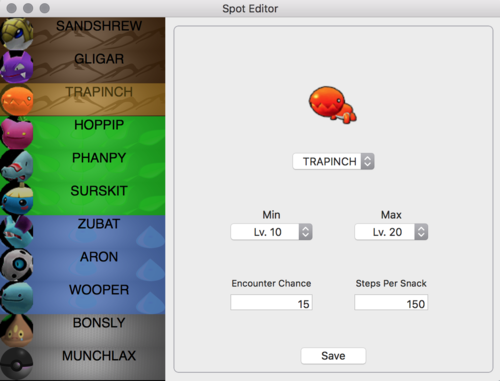 It's also the only Pokémon hacking tool that really worked to me (every time I hacked a portable Pokemon game, I've had errors). This tools had to be updated a few times to work properly, but the creator is very friendly and capable of fixing all the problems. Well, I don't see how I can use it anywhere. How do you use it, I don't see any .exe/jar files to utilize? Can someone help me randomize the game? I don't know how to use the XD tool with windows? So after a couple days of toiling with things I am finally playing my first run of randomized Colosseum. Something of note is that version 1.0.1 of the Colosseum tool crashes when you try to extract or rebuild the ISO. So what I did was used the 0.9.0 version for extraction and rebuilding and edited with the newest version. The XD tool works just fine. 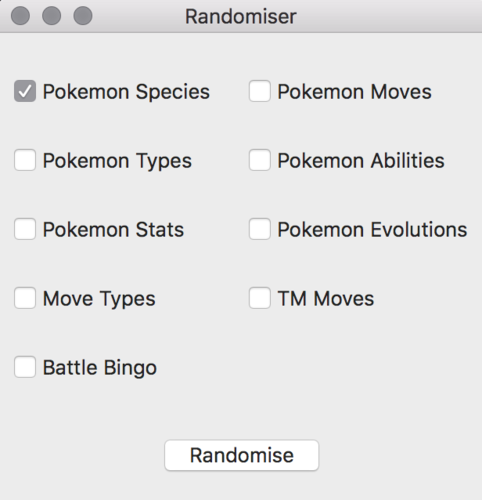 As for the randomizer itself (For both tools) I don't know if it is bugged, if my virtual machine has some incompatibilities with the program, or if it is just a super long process but randomizing anything other than the Pokemon Species causes the tool to just sit there and hang, and I have waited for 2 hours to see if it would complete and nothing would happen. 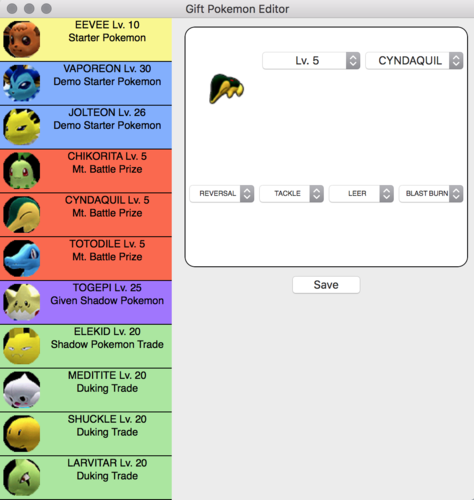 However having all of the Pokemon randomized is good enough for me so I'm not losing any enjoyment out of it. One last thing is I love the ability to go in and alter things after the randomization to make sure my experience goes smoothly. 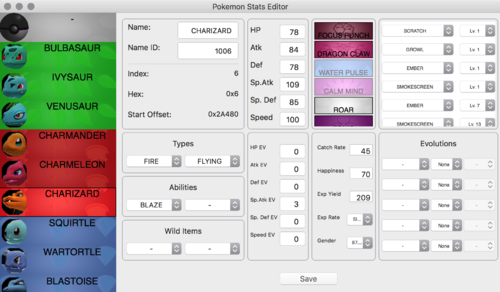 I mainly used it to alter my starters move pool and upped the catch rate on the tougher to catch Shadow Pokemon. So overall, it is currently a mixed bag. I look forward to future updates and seeing how the tool improves. Half of this program is really good. The XD tool works very well, is very well designed, and I have thus far experienced no problems. It edits (or randomizes) every part of the game. The best tool you could want. However the colosseum tool, which is what I wanted to use, doesn't work at all. It appears as if the colosseum program is an edited version of the XD program (for example, the program name in the top bar is 'XD tool'). The interface looks fine but upon attempting to load a Colosseum.iso, the program will always crash. Hey, StarsMmd, I've seen that you update these programs very often. Could you fix up the Colosseum tool so that it actually works? Also, to all those asking for the program to be ported to windows: this program appears to be built from the ground up, for mac. A Windows version would likely need to be built from scratch, and be a large undertaking for StarsMmd (if they could do it at all). If you cant access a Mac, I'd look for StarsMmd's tutorials, which don't require the use of his tools, rather than badgering him for a windows version.